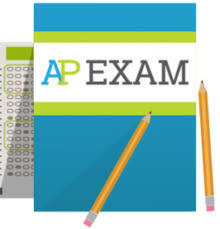 It is that time of the year again to prepare for AP exams considering they are just around the corner. It is pretty difficult to remain calm when it comes to preparing for an exam that will be taking multiple hours and many students are taking more than one of these exams. Students have been on this ongoing cycle of trying to keep up with school work, sports, family and their social life, but it is important to prioritize what can benefit you in the future. Passing an AP Exam with a four or five can potentially give you college credit, saving you and your parent’s money. It is rather hard to take time out of a students daily routine to study for these exams, but here are some tips on how to add reviews to your day. During breakfast in the classroom look over previous worksheets and or test, you have taken. Just breath, don’t overthink the idea of passing the exam and go in ready to show what you have learned. Do not focus on the time limit, looking at the clock constantly will only add more pressure and nerves; focus on what you know. Do not cram before the test, study efficiently. Dwelling on getting college credit will only add extra stress, look at this exam as if it were another class exam.